One might have heard of tandoori chicken or tandoori roti but these Pune-based tea sellers are attracting people with their unique ‘tandoori chai’. 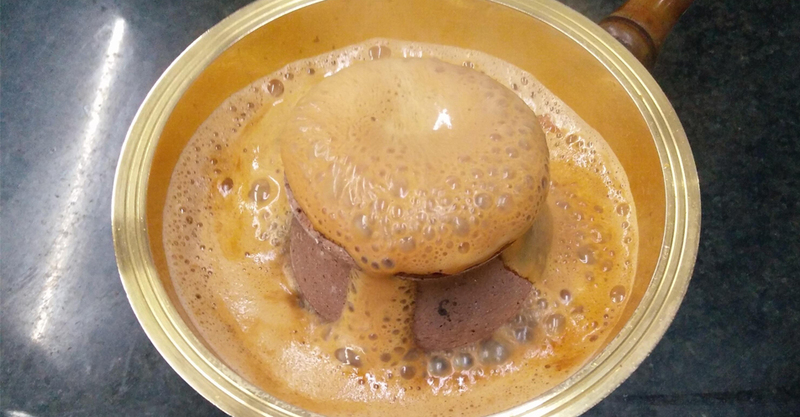 A tea made with a special recipe and poured into a hot kulhad (clay cup) has become the talk of the town in the past couple of days in the city. A tea shop named ‘Chai-La’ based in Kharadi locality of Pune is run by two graduates. One has completed his pharmacy while the other is a graduate in Bachelors of Science (BSc). Both the owners claim that the concept of making “Tandoori Tea” as one of the first of its kind in the world. Speaking to news agency ANI, Pramod Bankar and Amol Rajdeo, the owners of Chai-La said that the idea came in their mind from the unique milk made by their grandmother in their village and then they both had decided to put that concept into making a tea. They added that the tandoor tea gives a special feeling to the customers since it is poured into a mud cup which gives them an essence of the village’s soil.